Keli Benko, a Ph.D candidate in sociology, is studying how new proposals to expand buffer zones for fumigant use would affect strawberry growers, farmworkers, and residents. Environmental studies Ph.D. candidate Hamutahl Cohen's research is on the landscape epidemiology of pathogens in domesticated and wild bees. Five UC Santa Cruz students will team with UCSC faculty and staff to improve campus and community food systems as part of the UC Global Food Initiative’s fellowship program. Three graduate and two undergraduate students have received $4,000 UC Global Food Initiative (GFI) Fellowships for the 2016–2017 academic year, and will be involved in ongoing GFI projects at UCSC. These include efforts to improve student food security, expand experiential learning opportunities, and disseminate information on the campus’s work in agroecology. Graduate students Keli Benko, Hamutahl Cohen, and Emily Reisman, and undergraduates Cassidy Carmichael and Anne Wiesenfeld are part of a cohort of GFI fellows from throughout the UC system who are advancing work to increase food system sustainability and improve food access and nutrition at the state, national, and international levels. 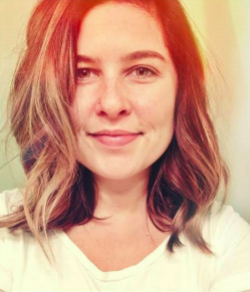 Her work as a GFI fellow will seek to clarify the positions of various stakeholders in regards to fumigant regulation and the future of the strawberry industry in the Pajaro Valley. 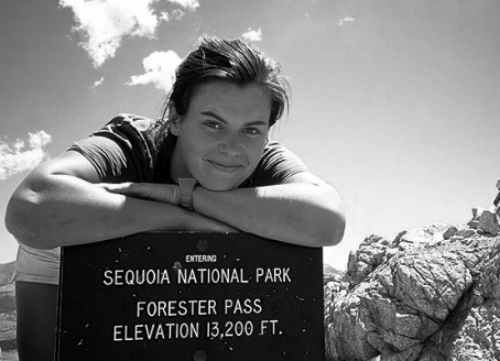 Cassidy Carmichael is an undergraduate majoring in environmental studies. An internship at Everett Family Farm helped spark an interest in becoming a farmer, and through the GFI Fellowship she plans to support ongoing agroecology, campus CSA, and campus farmers’ market efforts. “As a student it is important to ensure that fellow classmates and people in the community have access to clean, healthy food and create a relationship with their community in supporting their local farmers and small businesses,” Carmichael says. Hamutahl Cohen, a Ph.D. candidate in environmental studies, also received a GFI Fellowship in 2015. 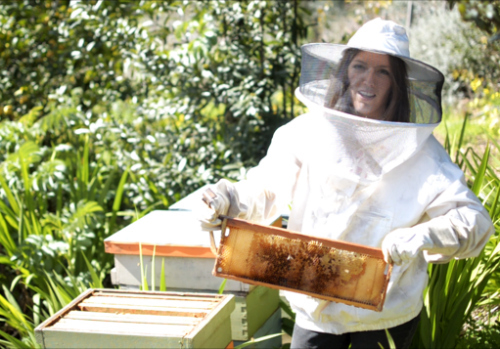 Her research on the landscape epidemiology of pathogens in domesticated and wild bees sits at the intersection of urban agroecology, pollinator conservation, and California food systems. The research draws from her first-hand experiences as an undergraduate working with the Student Organic Garden Association (SOGA) at UC Berkeley and as an apprentice and then graduate student at UCSC’s Center for Agroecology and Sustainable Food Systems (CASFS). 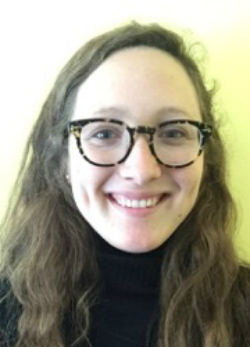 Building on her work as a GFI Fellow in 2015, she is particularly interested in helping establish the Blum Center food hub with Nancy Chen, professor of anthropology, and in improving food security for UCSC students. “I would like to work towards creative solutions towards food insecurity at the UCSC campus that provide donated food to students while still preserving and honoring student dignity,” Cohen says. 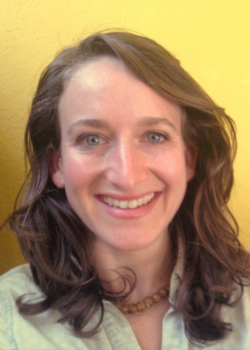 Emily Reisman is a Ph.D. candidate in environmental studies studying water and pollination resources with a focus on the agro-environmental history of California’s almond industry. Her background includes work with agroforestry projects in Togo and community seed banks in India, as well working with startups on projects to coordinate food waste recovery and improve food literacy. Anne Wiesenfeld is an undergraduate majoring in environmental studies, with a concentration in agroecology and sustainable food systems. Her interest in the food system began in middle school when she worked to improve conditions for factory-farmed animals, and continued in high school with efforts to ban plastic grocery bags in Los Angeles. As a GFI fellow focused on food equity and sustainable food procurement projects, she hopes to better understand the sustainable food system process and its implications. “I’m interested not in how to continue the cycle of healthy food for those who can afford it, but incorporating those who can’t,” she says. In addition to their on-campus work, UCSC’s GFI Fellows will join other fellowship recipients from across the UC system for a series of activities, including an orientation, leadership training, spring field trip and summer symposium.